There is NO ENTRY FEE. Often special events have entry fees and parking fees. We don’t. The 4-H animals are free to enjoy. All the vendors will be selling their stuff. It would be a perfect place to purchase Christmas gifts – handmade by local artists. ♥ Our cheese, ice cream, and yogurt makers. Get the opportunity to taste dairy produced right here in Sonoma County. 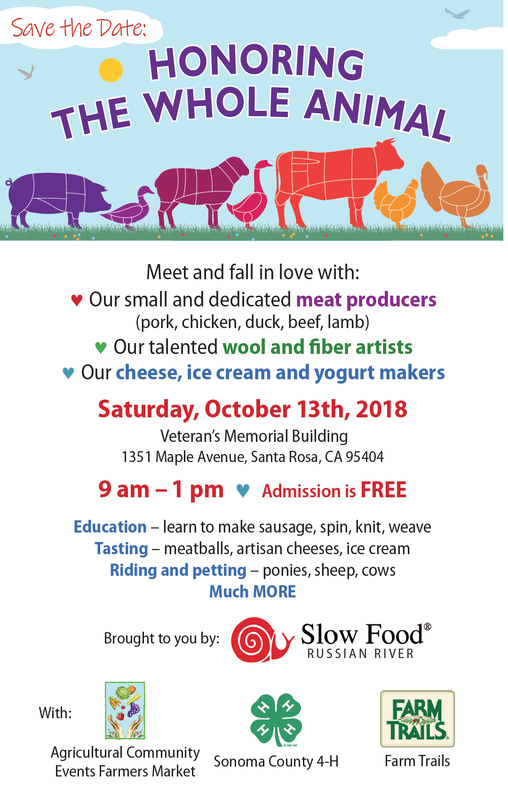 Brought to you by Slow Food Russian River with support by the Agricultural Community Events Farmers Market, Farm Trails, and Sonoma County 4-H.